Subaru Corp shuts down their Japan plant for two weeks on news of a power steering defect on 2019 Forester, Crosstrek and Impreza models. What is the impact on customers? Subaru Corp is hit with more bad news and has just announced they have shut down their Gunma factory in Japan because of a power steering component defect. The 2019 Subaru Forester, Crosstrek, and Impreza models are the models affected by the issue. 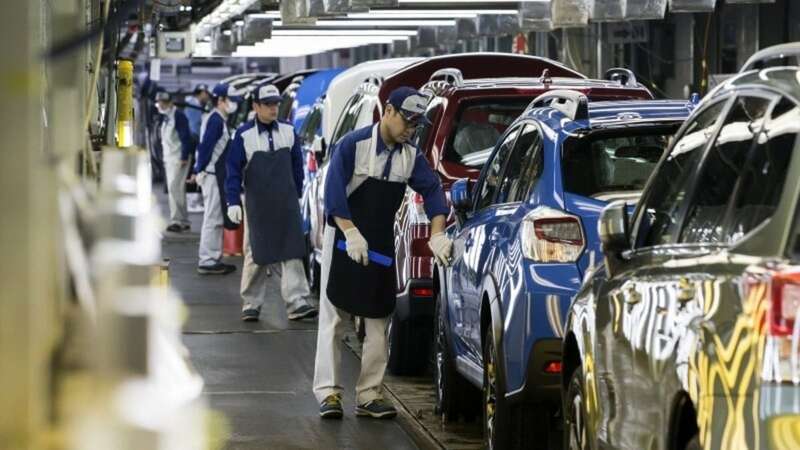 The Japanese automaker said its only auto factory in Japan could be shut down for nearly two weeks until they get the problem resolved. Production of all the all-new 2019 Forester, hot-selling Crosstrek and Impreza models had stopped as of the night shift on January 16 but was just reported for the first time today. Subaru said that it hopes to restart production on Monday, January 28 at the earliest. The Subaru plant in Japan accounts for about 60 percent of its global production. Subaru also has a plant in the U.S., in Lafayette, Indiana. A complete shutdown of its lines for one week would hit operating profits by about $123 Million USD, according to Nomura Securities analyst Masataka Kunugimoto. The Asahi newspaper said the impact on production so far has exceeded 10,000 units, and that delays were starting to be seen in delivery to customers. What does it mean for U.S. customers? If you have a new 2019 Subaru Forester or Crosstrek SUV that was produced in late December through January 16, it could be affected. U.S. customers who have a new Impreza sedan or 5-Door model are likely not affected because the compact model is produced in the U.S. plant also. Forester and Crosstrek are built in Japan. Subaru says they are investigating whether its U.S. plant has been affected, although production is continuing for the time being. Here’s what to look out for. Customers will see the steering control warning light in the instrument panel light up, the power steering function stops, and the steering wheel operation becomes heavy (it will require more force to turn than usual). Should such a situation occur, stop driving immediately and contact your local Subaru dealer. New 2019 Subaru Forester and Crosstrek models built during this time frame and still on dealer lots will be pulled for sale until they are inspected or repaired. Customers who have just recently purchased a new Forester or Crosstrek should call their dealer to check production dates. Stay tuned for any recall information. It claims in the article that all affected vehicles would be pulled from the sales floor. If you want one that is in stock -you should be fine. If it is a special order, things may be back logged for a bit. Order now to get one of the early vehicles off the line. I think I am seeing the effects of this in getting in getting the new forester. The dealership called me today saying Subaru is holding all foresters that are coming in to do an inspection on the steering rack. The car was supposed to arrive mid Feb and is delayed to end of Feb and now I was notified today maybe the first or second week of March. Apparently, my vehicle was not affected but they are still holding all foresters until they are all inspected. My husband and I purchased and picked up a new 2019 Forester on Feb 8th. How can we find out if this vehicle was one of the affected ones? It was produced at the Gunma factory, but we cannot determine when it was produced.